The tutorial will introduce participants to a method that is being used to make a valuable input to product design in Asia, but that has not yet been widely adopted in the West. It helps build bridges between UX, marketing and design, by demonstrating how particular product features can help improve the users’ experience. The purpose of Kansei Engineering is to understand how the properties and characteristics of a product create a particular emotional response in the customer, so that a product can be designed to create desired feelings. Kansei Engineering develops a scale to measure and analyse users’ implicit emotional needs and associates them with design characteristics for a specific product. Kansei Engineering has been widely adopted by Japanese industry over the past 40 years. The tutorial will use a detailed case study to illustrate how Kansei Engineering can be applied in a cost-effective way. The case study demonstrated the superiority of the customised affective scale produced by Kansei Engineering to use of the popular AttrakDiff UX scale. Gather data for potential Kansei scale items and critical product features from marketing material and from customer focus groups. Use Kano analysis to identify the most relevant scale items and the critical features and their perceived importance. Create a Kansei measurement scale with the identified affective words. Use the identified features to create a product-feature matrix to select representative products for the evaluation with the scale. Customers use the scale items to evaluate a range of products that have representative product features. Identify the Kansei factors, how products are rated on the different factors, and which product features influence these factors. The information can be used as input to future design and to evaluate subsequent products. Participants will carry out exercises in groups to gain experience of each step of the procedure. Sufficient information will be provided to enable participants to design their own Simplified Kansei Engineering project, and participants will practice each step in the tutorial. The target audience is HCI and UX specialists contributing to designing a better emotional user experience, and designers who want to improve the emotional user experience. Kansei Engineering Toolkit for the Packaging Industry: a paper by Cathy Barnes et al that explains Kansei Engineering, and how it was adapted to be simpler to apply. This was the starting point for the Simplified Kansei Engineering method that will be explained in the tutorial. Nigel Bevan is a consultant and researcher with over 20 years experience. He has a long history of developing and applying new UX methods and techniques for use in industry. 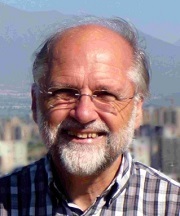 He was a member of the US National Academy of Science Committee on Human-System Design Support for Changing Technology, and regularly gives presentations and tutorials at conferences. The method described in the tutorial was developed by the author in conjunction with Cathy Barnes who has 10 years experience of refining and improving the use of Kansei Engineering in industry.